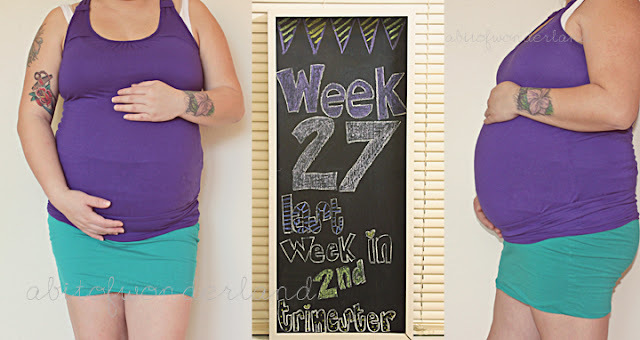 I am soooo excited to be entering my final trimester!! I remember like it was yesterday that I was so anxious to move into my second and now look were I am! That means 10 more weeks until baby reaches full term and 13 until my estimated due date! It's been getting more and more uncomfortable to sleep now! We heard cupcakes heart beat a few days ago when I went to my monthly visit. I love listening to it, sounds like galloping horses to me. I was surprised that in 3 weeks I gained zero weight! I don't know how the heck that happened with all the holiday food I ate, but hey i'm not complaining! !